DON'T use Red Line MT-90 in a Corvair. In their "fine print" it says MT-90 is NOT approved for hypoid gear transaxles - like the Corvair. 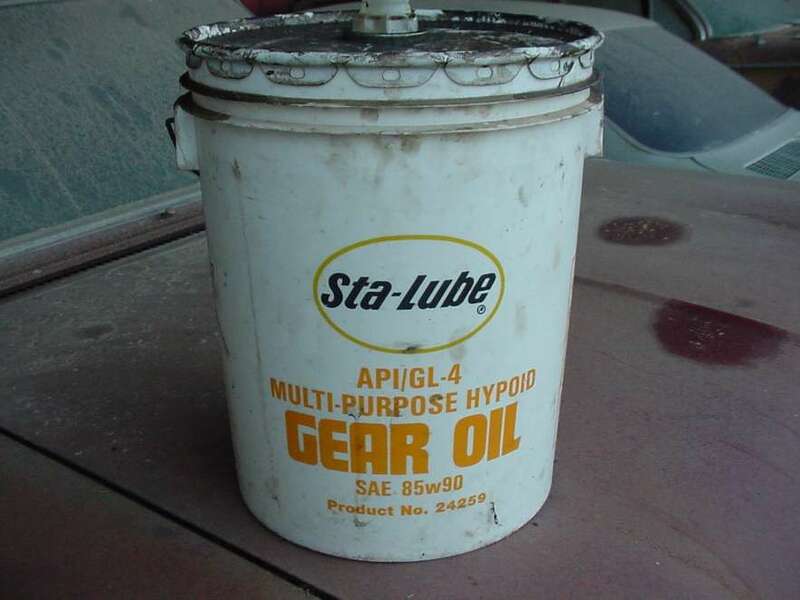 While the Sta-Lube GL-4 viscosity is too great for freezing weather (as reported by some to cause difficult shifting until the drivetrain warms up) it works fine in warmer conditions. Many have used it for years without issue. Mel do you know what brand the Wal-Mart oil was? 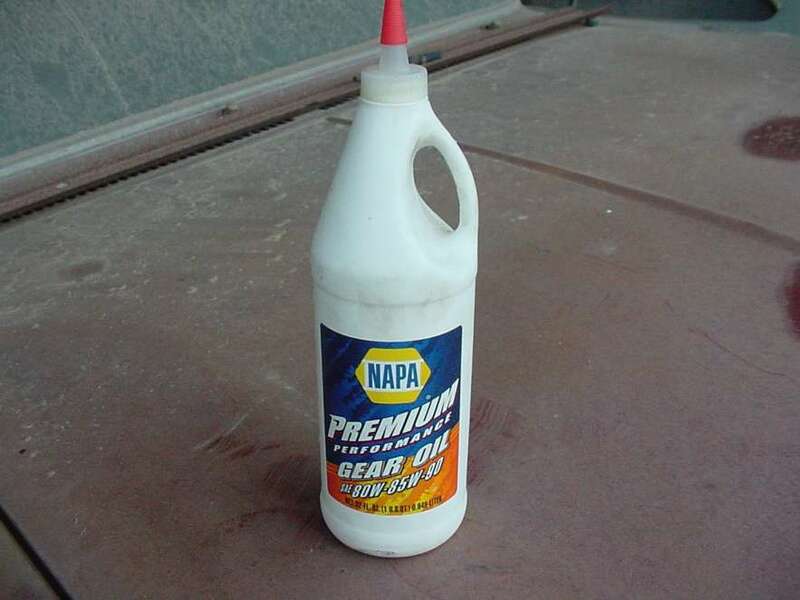 That RPM gear oil is only GL-1 rated. So NO where can it be used on a Corvair. Going back to square one, I suggest reading the link in my signature. On some of the comments, Finding 80W-90 GL-4 a little thick for 70ºF shifts in the mornings, I went to 75W-90 GL-4 and am more than convinced. 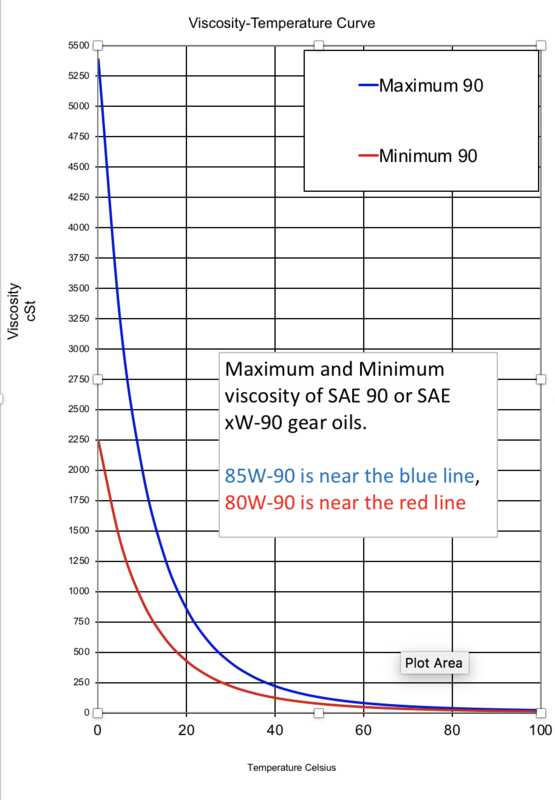 I certainly would not use the 85W-90, as it is the top range of the SAE 90 viscosity. Take a look at the graph. And as mentioned, that Chevron RPM is a GL-1 (motor oil would be better). There are a lot of excellent 75W-90 GL-4 and GL-4+ oils on the market today. 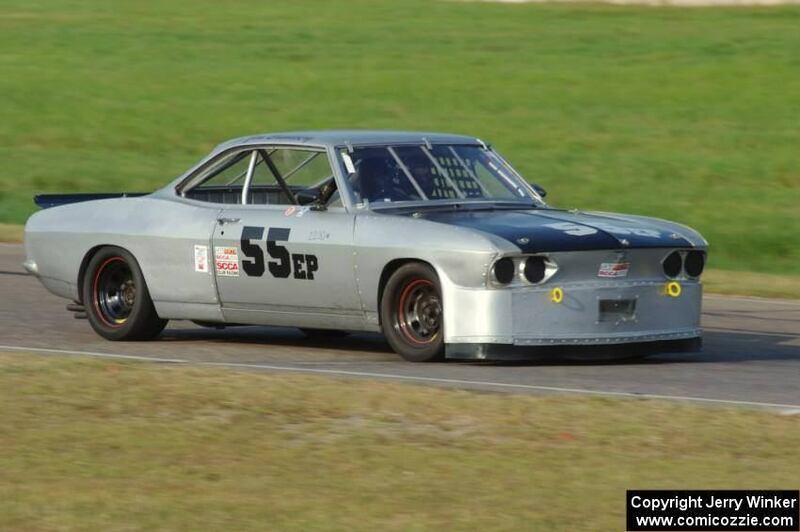 Just for fun i mixed two quarts of Pennzoil Syncromesh with 2 quarts of 75/90 GL5 3 years ago on my everyday driver 64 Monza, Probably 10,000 miles now, Shifts great, the syncros havent exploded !! Edited 1 time(s). Last edit at 10/31/2018 07:52PM by jasonscorvairs. 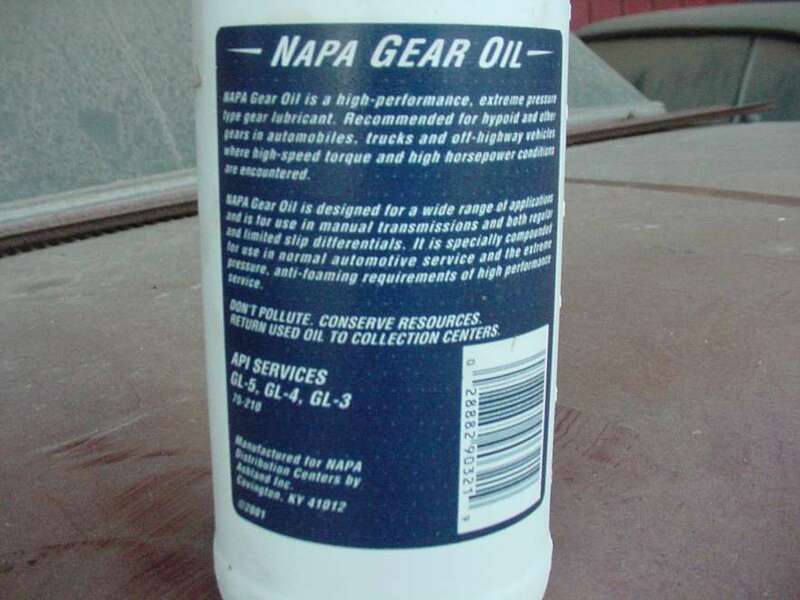 I've been using Sta-Lube GL-4 85/90 from NAPA at $36 a gallon. Where can I find something that's GL-4 80/90? Amazon is where i got my Brad Penn. The only Lube King GL4 I see on Ebay is 90 weight. Am I missing 80/90 somehow? I put Redline MT90 GL4 75/90 in a car once. Since it's not for hypoid did I do a bad thing? Is there a Redline that is good for us? > Redline 75/90 NS. And yes they are both GL5s. So the Lube King GL-4 80/90 on Ebay at $40 for 2 gallons should be okay for our manual transmissions. Is it a good hypoid for our differentials? The Ebay listing does not have a picture of the back side label. There was discussion above that Redline MT-90 might not be so good where hypoid is concerned. Is there a Redline oil that is good for both our transmissions and differentials? I need to stock up. I've been using Sta-Lube 85/90. No use spending $36 a gallon if it's a little too thick anyway. Edited 1 time(s). Last edit at 04/09/2019 12:40PM by JimBrandberg. No comments on Redline or Lube King? It looks like the Lube King has EP (extreme pressure) designation for hypoid gears. It seems that the GL-4 designation should cover our transmission needs. I guess I'm just looking for some confirmation that this is the good stuff. I don't think there is any way to know without sending some off to be analyzed before and after using it.